Test Series for UGC NET 2019 exam,UGC NET 2019 Test Series,NTA UGC NET Online Mock Test Series,Online Mock Test Series for UGC NET 2019 exam,Best Test Series for UGC NET 2019 exam,UGC NET 2019 Best Test Series,NTA UGC NET Practice Online Test Papers,NTA UGC NET Free Mock Test,Free Mock Tests of UGC NET Online 2019 exam,Free Mock Tests of UGC NET 2019 paper 1,UGC NET Paper 1 Mock Test Series,UGC NET Paper 1 Online Mock Tests,Best Test Series for UGC NET Paper 1 2019,UGC NET Exam Pattern and Strategy,Strategy to follow for UGC NET 2019 exam,Preparation Strategy for UGC NET 2019 exam,Study Material for UGC NET 2019 exam,Online Free Mocks for UGC NET 2019 exam. All the tests will have 50 questions with 100 marks allotted to them. The first test will be free whereas the rest will be paid ones. What is unique about TCS ACADEMY UGC NET Mock Tests 2019? UGC NET Test Series at TCS ACADEMY Feature 1 – Smart Interface: We have our smart interface ready for you in order to take examination. 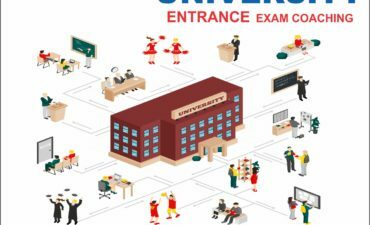 Since UGC NET 2019 is going to be an online examination, it is very much necessary that you are well acquainted with the online system of the examination. We offer a smart interface that will help you understand the online examination process in the best possible manner. We try to give you the exact interface as the real examination so that you may get ready for the real test. UGC NET Test Series at TCS ACADEMY Feature 2 – Latest Questions: We don’t boast that our questions are prepared by toppers / experts / legal eagles etc. What we do is to undertake thorough research regarding the pattern of the questions. It is our methodology that we try to read the mind of the examiner so that we can understand what is expected of the examinee. Our questions are unique since we always try to come up with something new yet relevant in our mocks. The main objective is to prepare our students for every single possibility in the examination. What we try is to give you the confidence that you are prepared and you don’t need to be scared of whatever comes in the paper. UGC NET Test Series at TCS ACADEMY Feature 3 – Answers and Explanations: Our explanations are our pride. Yes, because we give it in as much detail as possible. We give you the step by step mind calculation that you will need to undertake in order to solve a question. We try to explain the basic concept behind every question so that you understand that concept. This serves as an application-based study material also for students. UGC NET Test Series at TCS ACADEMY Feature 4 – Smart Analysis: And last but not the least, we have an analysis that will give you a post-mortem of your performance. Not only that, you will also get an idea regarding the performance of the topper and the comparison between that and your score. You get the analysis of the complete performance of the topper as well as yours to compare. You also get an analysis of the topics that are likely to come in the paper with the weightage of such questions. And there’s more also. You just name it and we shall provide you with that analysis. UGC NET Test Series at TCS ACADEMY Feature 5 – 24*7 Support Service: We are always on-call. You drop us any query and we promise to get back as soon as possible. If you have anything to ask or discuss regarding the paper or the pattern, just drop a line and we shall revert. UGC NET Test Series at TCS ACADEMY Feature 6 – Pricing: We are proud to present to you the least-priced mock test platform in the country. You need to pay only Rs 1099 for the 10 mocks of UGC NET Paper I at TCS ACADEMY. The UGC NET Examination 2019 is around the corner and it is high time that you start your last phase of preparation i.e. taking the mocks. Attempt a few mocks of different organizations in order to understand the quality before taking any decision regarding purchase of any test series. Take our Free UGC Online Mock that is going to be live on 20th May 2019 and you will get a glimpse of what you will get in our Comprehensive Test Series for UGC NET 2019 Paper I. Welcome aboard to your Smart Journey to success, if you join our test series for UGC NET 2019 Paper I and All the Best for others for UGC NET 2019. Whatever you decide, do take the free test and write to us at tcsacademylko@gmail.com or Call 9565697720 your views and suggestions so that we may improve ourselves. JOIN UGC NET ONLINE TEST SERIES NOW ! JNU,BHU,LU,Bed Entrance Exam Coaching in Lucknow : Tcs Academy University Entrance Exam Coaching in Lucknow BA, Bcom, MA, Mcom B.ed entrance exams are conducted throughout.